[UPDATE for 2019] This post has been updated from a December 2017 blog to reflect industry changes and new developments, as well as shifts in audience preferences and behaviors. Below, you’ll find data, statistics and research findings to help guide your SEO efforts in 2019. Every year, marketing teams - from the content strategist to the technical SEO - plan and identify new strategies to employ to boost search visibility. It's not surprising, as the competition is most likely doing the same thing. That’s why, as many as 61% of marketers admit that improving their organic presence as a top priority. And I’m sure that the number is going to increase significantly in the coming months. How do I know? Because it only makes sense, if you consider the results that organizations achieve with search traffic. On average, organic traffic makes up around 30% of overall website’s traffic. It also can deliver upwards of about 20 - 25% conversion rate. This post compiles various tests and research results to help you identify what to focus on next in planning your search strategies. Optimize your strategies for the current state of the enterprise market. But before we get to that, let’s gain a wider perspective on our work. What’s the state of the search landscape today? 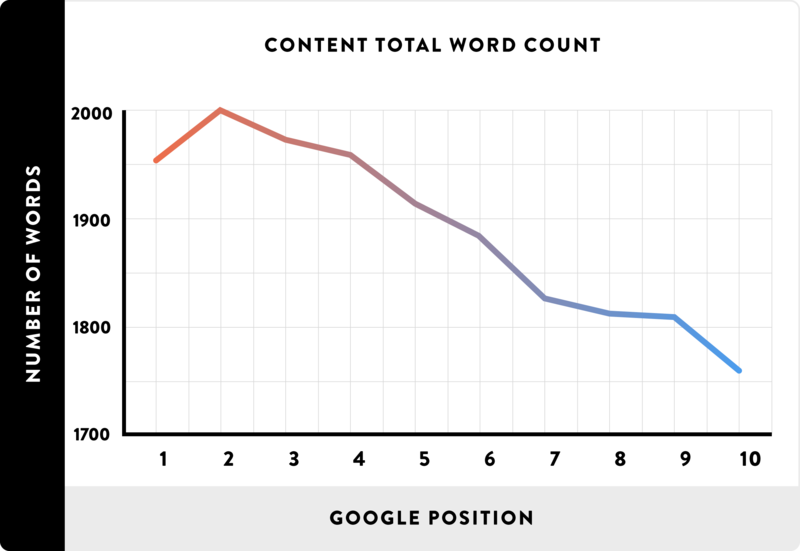 At the time of writing, there are typically 63,753 searches on Google per second. Of course, this number might be different by the time you read these words. But the fact remains, it’s incredibly high. According to Smart Insights, there are 6,586,013,574 searches per day worldwide. 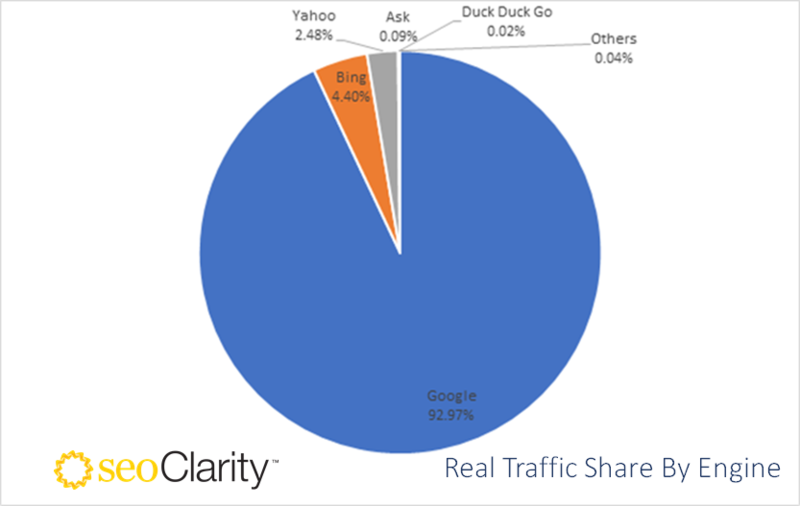 Google absolutely dominates the search traffic. 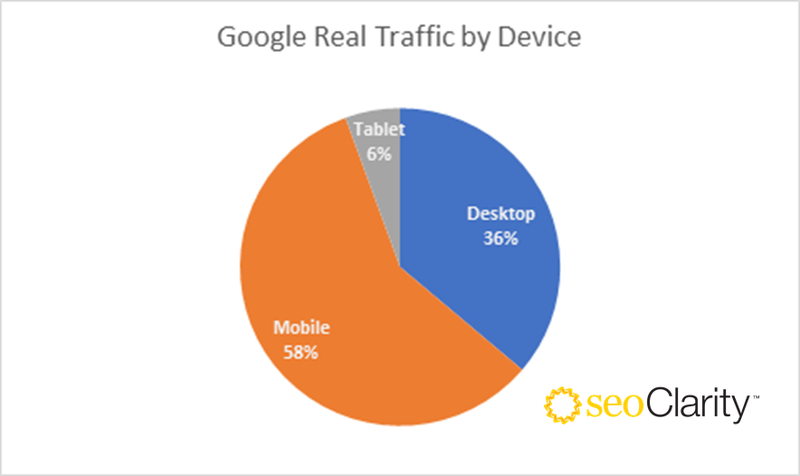 According to our recent research study, Google sends nearly 93% of traffic to websites. It’s also the only major search engine still gaining the traffic share. On average, Bing is driving ~9% less traffic Year over Year. Yahoo is down a whopping 30% and Ask.com 18%. “If you’re seeing a decline from Bing and Yahoo, use the above as a benchmark to see if your site is doing better or worse than the 9% decline in traffic from Bing. If your site does well on Google and is growing, I wouldn’t recommend trying to do anything different to try improving on secondary engines - you may be swimming against the tide of traffic loss they are suffering (source)." Furthermore, according to Google, nearly 40% of people use ONLY their mobile device to search during the day (source). Customers have grown accustomed to searching so much, that many no longer notice the difference between paid and organic search results. Data from Search Engine Watch reveals that more than half of searchers don’t realize the difference between both listing types. That being said, we slowly lose interest in whether we click an ad or an organic listing. This behavior could pose a challenge to achieving a higher organic click-through rate. At the same time, it could force both SEO and SEM teams to integrate even further, a move we’ve already been advocating here at seoClarity. Couple that with a strong competition in SERPs, and you know that you’re going to face a serious challenge with boosting your company’s search visibility in 2018. Luckily, there is a lot of insight that might help you identify the biggest opportunities to win. 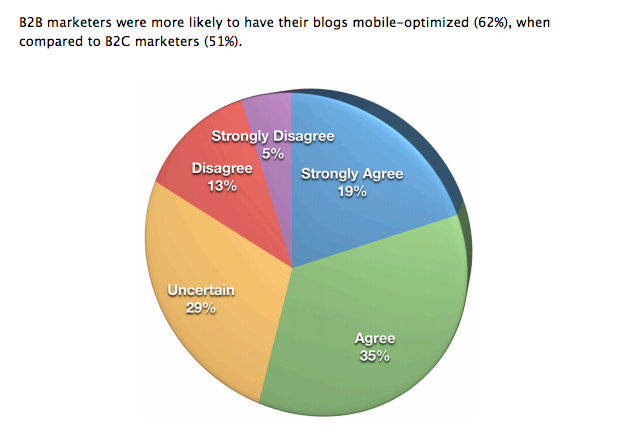 Based on the above, the number of companies using content as their primary marketing strategy comes as no surprise. The finding above mirrors what the previous edition of the report discovered. See below. 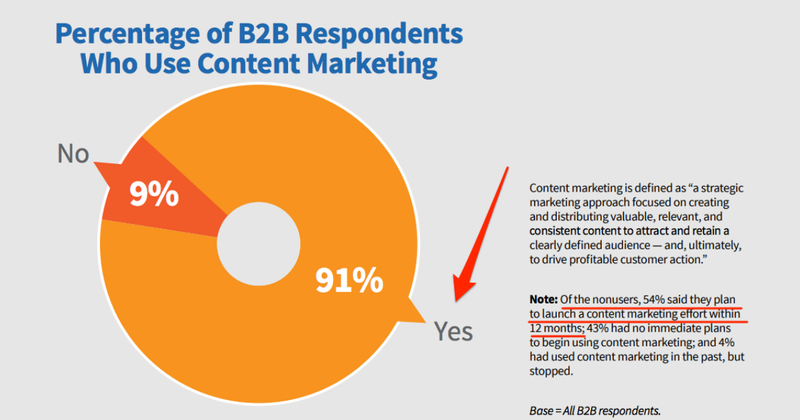 Image source; note that out of the 9% nonusers, 54% plan to launch a content strategy within a year. 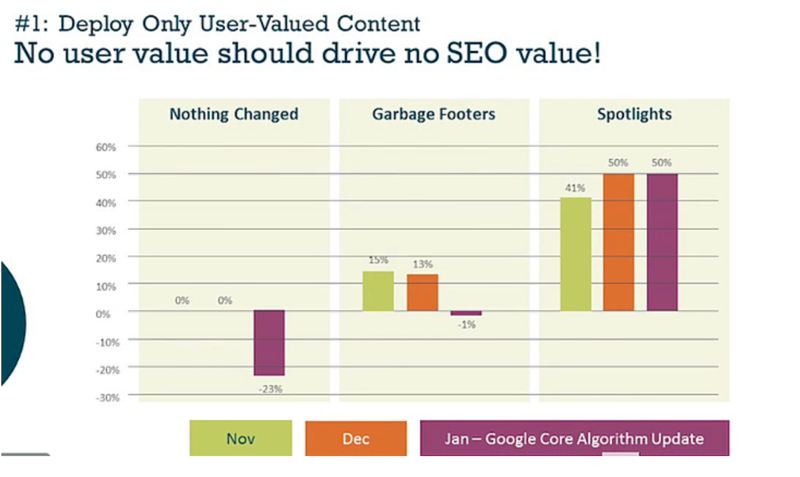 Marketers have a strong understanding of the effect of content on SEO. For example, Social Media Examiner reported that 62% of marketers have already optimized their blogs for mobile to boost SEO. And Hubspot reports that two years ago, 72% of marketers named publishing relevant content as their most effective SEO strategy. But what elements should you pay attention to when creating content? Content length is certainly one. After analyzing 1 million search results, Brian Dean from Backlinko confirmed the effect of page length on rankings. In fact, his research revealed that, on average, pages featured at the top of search results contain 1890 words. 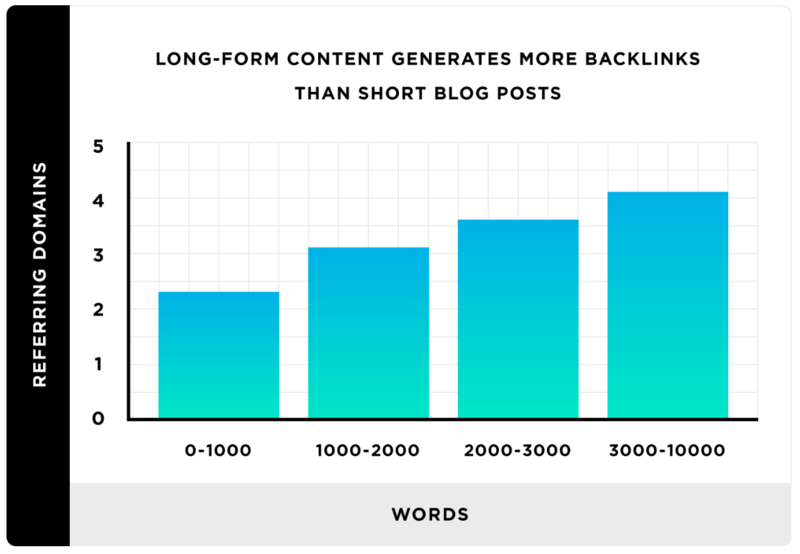 His last year’s content study discovered that long-form content gets 77% more links than short articles. 94% of standard blog posts receive zero external links, in fact. Based on the above, we can assume that it makes more sense to create long-form content for backlink acquisition. The content’s freshness is another. 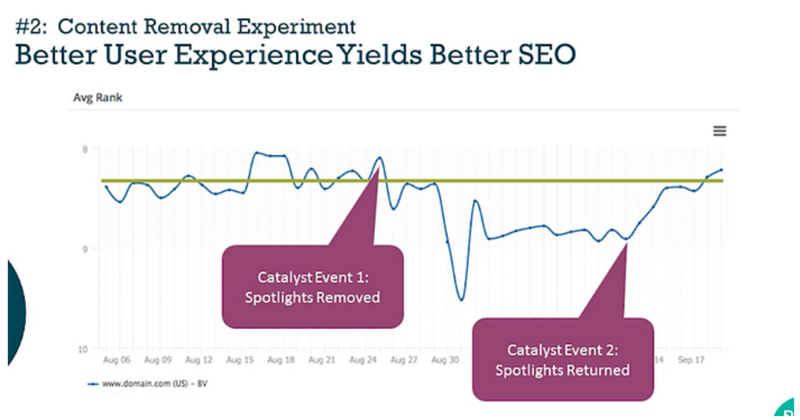 As it turns out, Brian also discovered that updating existing content can boost your rankings by up to 111% (source). Fact: There’s so much more to boosting search visibility than just creating content. Optimizing for local search, technical issues, mobile and much more affect how your site ranks in SERPs. And so, let’s take a look at insights that could help you further improve your visibility. I’m sure you already know the impact of customer feedback on SEO. You also know that 88% of buyers trust online reviews as much as personal recommendations. But did you know that publishing reviews on your site could help significantly boost its rankings? That’s what Michael DeHaven, former Senior Manager, Product and SEO at Bazaarvoice discussed during our Clarity ’16 conference. Michael showed how adding user-generated content (i.e. reviews) to a site generated a significant boost in visibility. A slide from Michael's presentation. You know, the technology behind your site affects its rankings as much as the content. It’s no surprise then that 47% of organizations today use a content management system to add, manage, and optimize the site. Moreover, more and more businesses understand the need for optimizing their sites for the mobile user. But surprisingly, Akamai discovered that only 11.8% of organizations invest in a responsive design. Considering the benefits of having a responsive site for the upcoming mobile-first index, the number is shocking. If I was to call out the most critical ranking factor, I’d say, page speed. Now, let me be clear, I’m not suggesting that all you have to do to rank is optimize how fast your pages load for users. Many other factors affect that as well. And, as Google stated repeatedly, those factors change depending on user intent and query. Yet, the fact remains that page speed affects rankings and conversions. In its report, Milliseconds earn millions, Google stated openly - a one-second delay in page load time can impact conversions by up to 20%! You know, the hardest thing when choosing the right SEO strategy is ensuring it’s relevant to what your competitors are doing. Or, in other words, that it helps you outdo other domains trying to rank for your keywords. 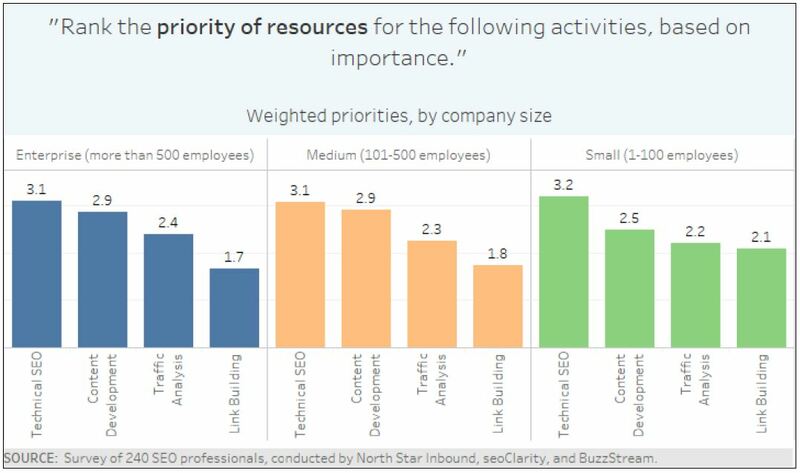 Based on a survey of more than 240 SEO professionals focused on enterprise SEO strategies conducted by Buzzstream, North Star Inbound, and us, it reveals some great insights to deploy. For one, enterprise organizations focus heavily on technical SEO and content to maintain and increase their visibility. And so, what goes with it, to remain competitive, your site needs to boast impeccable optimization, from a technical point of view as well. But if optimizing for technical SEO doesn’t present a challenge for enterprise brands, then what does? Over 45% of enterprise brands name content as their most pressing problem. 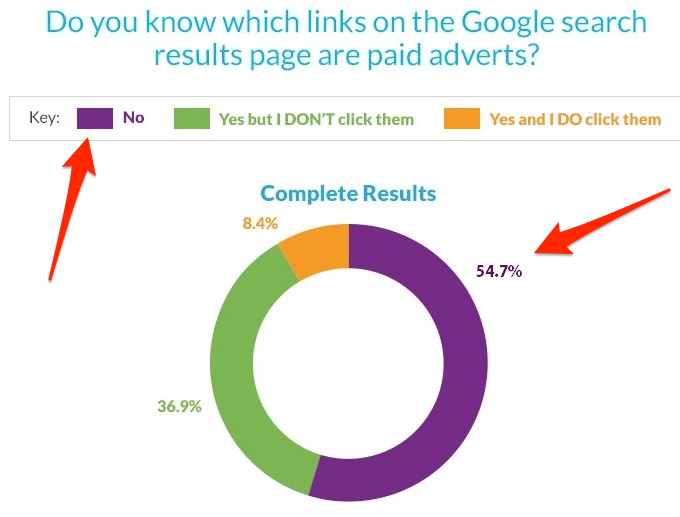 Similarly, 42% of in-house SEOs admit to facing the same challenge. It goes without saying - once you eliminate technical SEO issues, content must become your number one priority. Luckily, we’ve already shared with you stats in this post to help you pick the right content strategy for your brand. All that’s left is to put those into action. 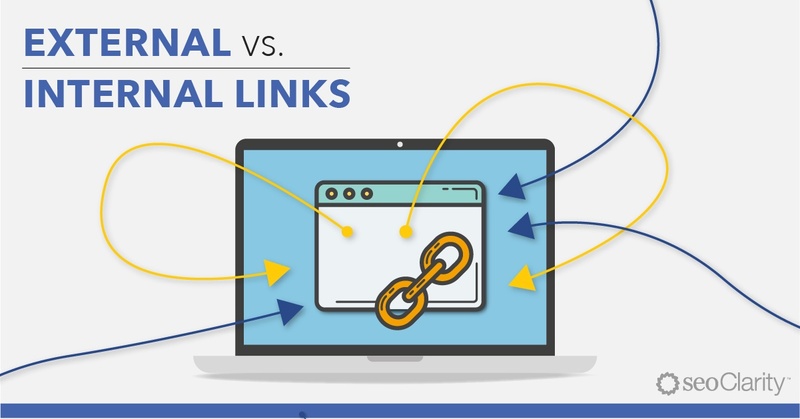 Why Are Internal and External Links Important for SEO?